The craft of iris folding makes use of pretty papers and simple folding techniques to create stunning cards and other small items that look far more expensive and complicated than they are. Join this group and learn how to do it yourself. 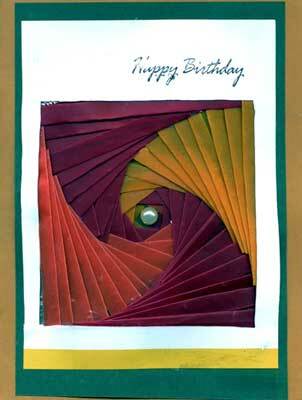 Bring some pretty papers—such as wrapping paper or rice paper—cardstock for your card backing, scissors, tape and glue. The members of the group are always eager to teach beginners. Join us—we’ll be in the teen corner of the library.